The Lord's party has begun! Get all your friends! Dear Lords and ladies, quests are worth running after and many more collectibles make up the scene. At the beginning, it might not feel like a cool game, but as we proceed on, we uncover lots of secrets. A battle has been storming up in this world. Wait a sec! In a world none other than in a faraway land where kingdoms collide and heroes ride. Fantasy driven jaw dropping storyline, turfs where the grass is green and the trees whisper, one can find his good game (GG)! I won't go into a broad and long tale of the kingdom. I'll head to the Kingdom to show you the breathtaking vistas. The lost troops can be taken at bay into a place of sorts, known as "Shelter". Wars go on for months it seems, but if you do not feel like taking a dive into one this time, you have the Military Strategies, Partnership and Peace Agreements that you can sign in your paper-desk in your 'Quests'. Mystery boxes spring up in your turfs and you can collect them to claim gold and other fine materials. You can breathe your way up in the valleys where the clouds rumble and take a swim down to lower heights. Starting off with enough turf space, what more can you want? 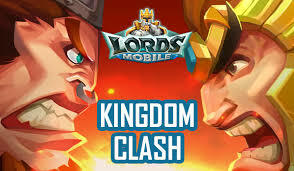 You might encounter different challenges along the way, and your walls scouted by enemy troops, a few tweaks will support your turf in strength. The world map exists, and the layout of maps is spectacular in this game. Skirmishes make up an interesting side part in it, where your Hero travels to hunt mythical monsters and bosses. I started with Oath Keeper and Death Archer, and the list keeps adding up as I go on. 'Skirmishes' and 'quests' are consistently available, and you can speed up your work. You can start your way up going solo or if you have been feeling like you've always wanted to be in a guild, you can join cool friends and make strategies. The guild has many attributes, and members play an important part. You can write an application regarding your wants, and rally with others with might and honour. Strategising is exceptional, and guild friends can chat over in guilds by attending diplomacy boards. One can find oneself of great help by sending supplies, reinforcements, and garrison. 'Guild shops' are unique, with vast items, and guild coins enable a rookie player for medium of exchange in markets. A rookie has to work his way up in order to find better items. 'Withdraw squad' is a tactical plan and it recalls a squad back to turf, indirectly found in guild shops. The point of this is that we have to give extra money for tired squadrons. Food, stones and river boulders, timber, ore and gold are the main resources. Travelling over harsh terrains, valleys, plains, river courses, hills, ice capped mountains and polar circles. Monster hunts are priceless. Hard to beat, yet competitive. It lets you earn extra DMG but depletes your energy soon. Earn talents as a hero leader and upgrade your squad, set traps beyond the borders, research your 'Economy', and many more. If you are looking for an adventure in the seas and oceans, you can send supplies and maintain trade with other kingdoms from your harbour. Dark essences can be transmuted in the Transmutation Lab'- About the Darknest, info. Terrains such as grasslands, forests, tundra make home to troops. Relocating through migration, and changing turf refreshes the overview of the kingdom. 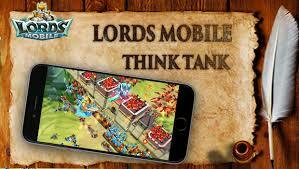 We can take a visit to other Forts in the kingdom if we are looking for turfs. The Forts varies in different strategies, and you can see your Resource Tiles Chart in Kingdom Overview. 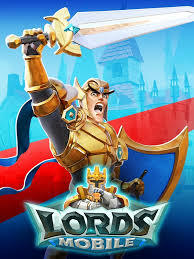 Lords and Ladies, get it on with Lords Mobile! Unlock mysteries and take a dive to an adventure of a tale. Previous Previous post: [Video Guide] The team for Gryphon and Frostwing!